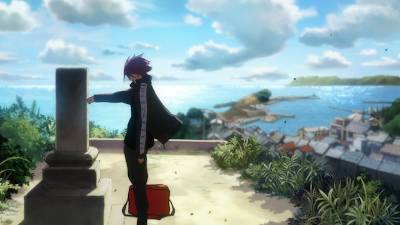 Well, I did say that I wanted to know why Rin was aware of Makoto's fear, but holy crap, I never expected that he'd also lost someone in that storm (I'm assuming it's the same one, since it was mentioned that a lot of people died). 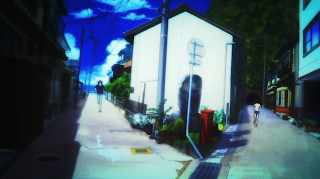 And the way they presented it was probably one of the most visually interesting scenes KyoAni has done in a long time. They nailed that dream sequence, making things appear visually "off" without breaking the illusion. I could probably write an academic paper on the use of symbolism in that scene, but my favorite was the continued use of the goldfish and the bowl carrying over from Makoto's episode. 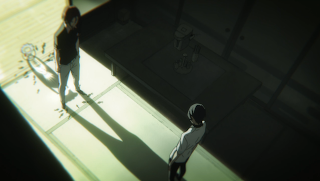 The multiplication of the shadows on the floor while Rin talks to dream Haru was a nice visual contrast to the empty bowl from when Makoto told his story last time. 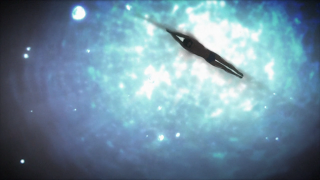 Anyway, with the much-needed backstory elements finally in place, this was definitely Rin's episode. I thought that the photo he'd taken from the swimming club was possibly an older group that he'd looked up to and wanted to beat, but I never considered that one of them was his dad. It's also a good explanation for his dream: he wants to accomplish what his father couldn't. That also explains why the kid we saw in the first episode--who was much more like Haru, loving swimming for the sake of swimming--became someone entirely focused on winning. 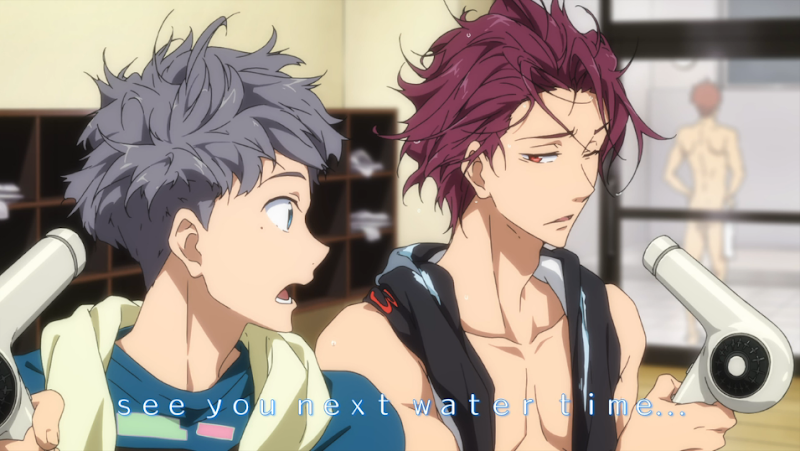 There are a few leaps in his logic here though; when Rin tells his dad's story to Nitori, the way he phrases it makes me think that he feels that it was his fault his dad couldn't become an Olympic swimmer, as if being born was an insurmountable obstacle. Therefore, he feels obligated to be perfect to honor his dad's memory. However, I doubt that his dad felt that way. The fact that he dropped his dream for the sake of his kids makes me think that he valued family more than his dream, which--if my above assumption is right--also holds true for Rin. 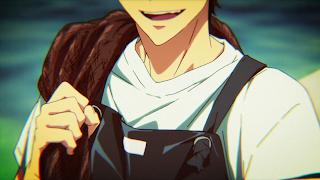 He seems like the kind of dad who'd be over-the-moon thrilled that his son also liked swimming but at the same time wouldn't want to pressure him into it. Of course, I could be completely off-base here, but that's the feeling I got. If I'm right though, that's something Rin will have to work out for himself. And on the other side of the spectrum is Haru. I love how this show has handled their rivalry, since they're pretty similar in personality, yet key factors in how they see the world drive them apart. While Rin values his commitment to his family above all else, Haru values his friends the most. 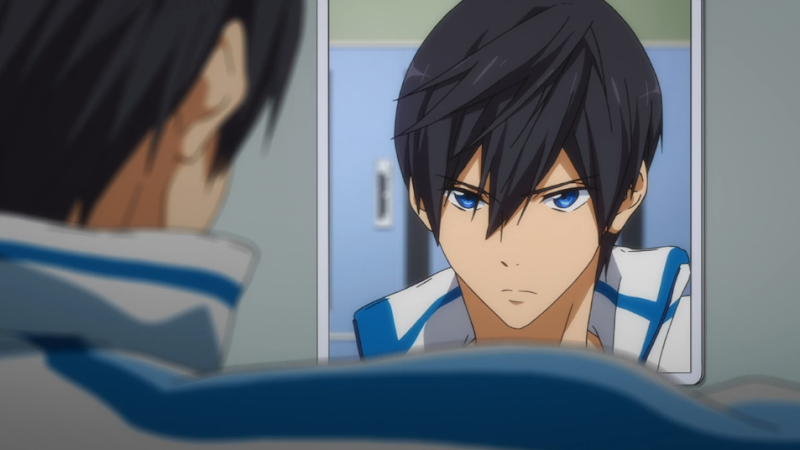 Haru has stereotypical nonexistent anime parents; they are a non-factor in how he goes about his everyday life. His friends play a much larger role, so he values them even more, like what we saw in the previous episode with his protectiveness of Makoto. Last week, I brought up how he gave up competitive swimming because he hurt Rin, which definitely deserves repeating here. You could even make a solid argument that the only reason he's swimming competitively now is because of Rin. 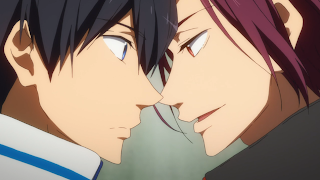 And let's not forget (although I'm sure none of you have) the scene where Rin begs Haru to swim for him. 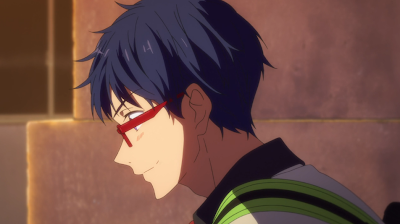 Despite Haru's continued insistence that he only swims for himself, his statement before the race--"Today I become free"--says that he's been hiding a lot from the others, to the point where only Makoto has an inkling of what's going on because he's known him for so long. 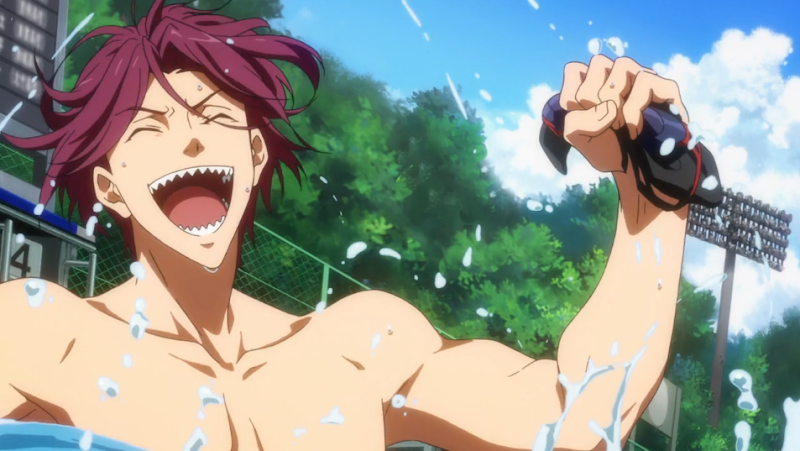 Which is why, despite getting punched in the heart from the first part of the episode, I cannot excuse Rin's behavior after he wins the race. That was completely uncalled for. I had sneaking suspicion that Haru was going to lose (based on where we are episode-wise), but I didn't expect him to lose that badly. 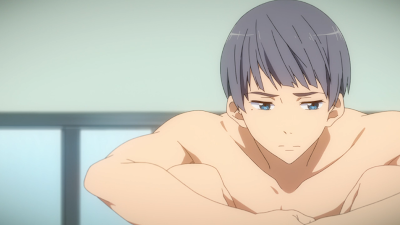 However, losing is one thing; saying that he will never swim with Haru again while knowing how much that means to him is a low blow. 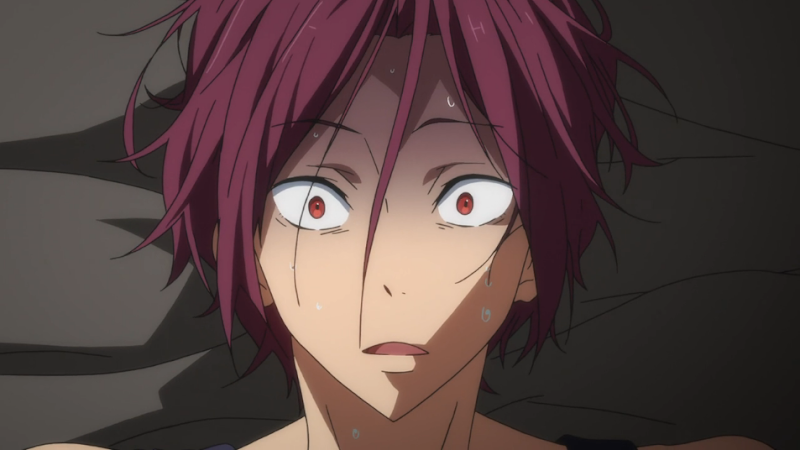 I had Rin pegged as a sore winner/loser from the start, but he might as well have added a fart noise at the end of that because it was pretty juvenile. However, I do kind of understand why he did that, even though it doesn't excuse it. Despite holding on very tightly to the memory of his dad, Rin has systematically rejected other parts of his past throughout the show. He doesn't even acknowledge Makoto and Nagisa, he doesn't attend the same high school despite his sister going there, and he lives in the dorms instead of commuting so that he doesn't have to be confronted with deja vu daily. 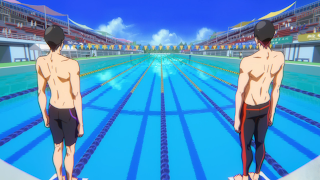 The last thing left over from his rejected past was is inability to beat Haru, and now that he's won, Rin probably thinks that he won't have to think about it ever again. That's probably where the inappropriate outburst came from. We'll have to wait until next week to figure out how much it'll affect Haru. Moving away from the main drama in this episode, there were a few other things that I wanted to mention. Rin's roommate Nitori barely registered on the radar for me before this point, but in this episode he got more than a little whiny and annoying. 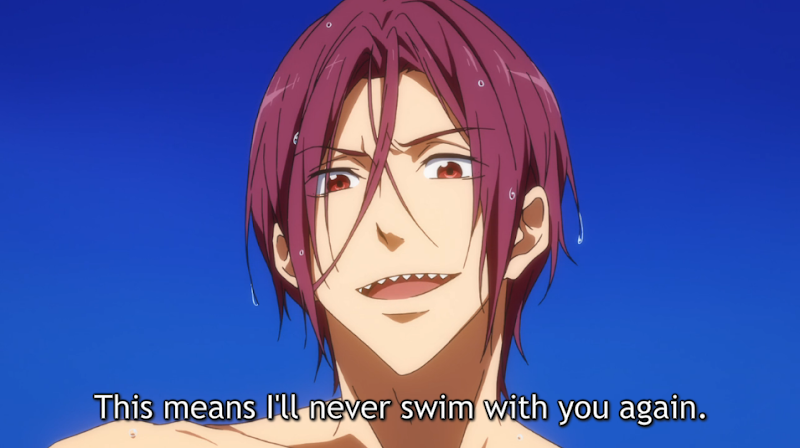 Why does Rin have to justify anything to this guy? I don't have much context for their relationship outside of "they share a dorm room," but in this episode he felt like a clingy boyfriend. 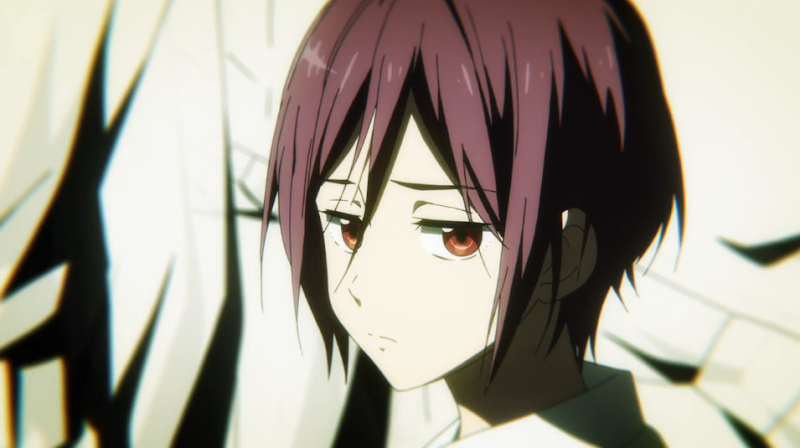 He gets mad and sulky when he thinks that Rin is thinking about Haru, and has an overblown reaction when Rin mentions visiting his dad ("NO SENPAI DON'T KILL YOURSELF"). 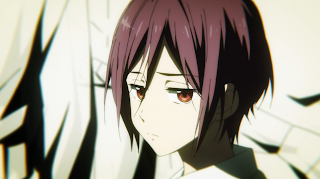 Unless Rin has exhibited depression or suicidal tendencies around this guy, I'm not really sure where that reaction came from. Basically, if he's supposed to be the "friend" character who is not involved in the rest of the main drama, I hope the show tones him down a bit. Last thing, I liked that Rei brought up the idea of the relay. Honestly, I thought that the characters had been thinking about this all along, since each of their signature strokes happens to be a leg of the relay, but I guess that was the show's intention and the characters are just now catching up. 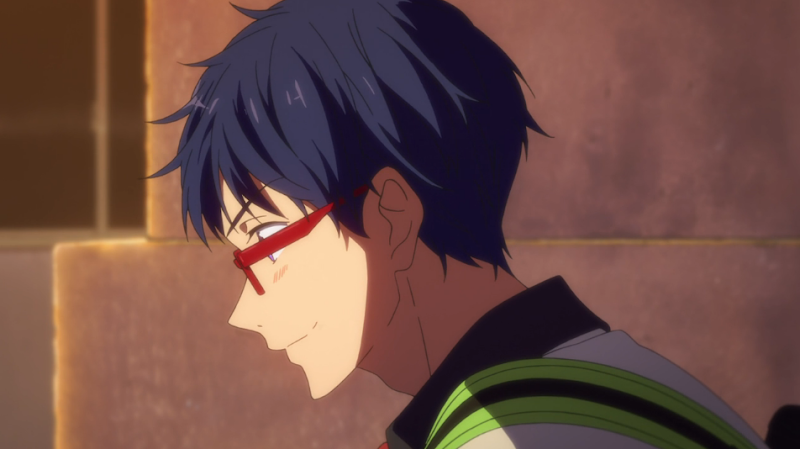 Rei was pretty cute getting excited about the relay too. Argh, I can't stay mad at him even though swimming in the ocean at night was still really dumb. Also, that was a nice bit of foreshadowing with the fortune. It's not subtle at all when you rewatch it, but it's enough of a clue to make you pay attention. This is also one of the times where I hate the fact that I barely know any kanji. According to Crunchyroll's subs, the one that was highlighted in the middle reads: "Try not to lose anything." ...It's going to be a long week, isn't it? It's got both a complete summary of the novel and translated chapters. Have you had the chance to check it out yet? It's not bad reading, though the writing is more emotional and serious compared to the lightheartedness and bromance of the anime. I'm not bothered so much by his character type as I am by how much we got in just a few short scenes. Maybe it would've been better if they spaced it out more. It just felt like too much to me. And thanks for the link! I'll read it this weekend. I've wanted to read it for a while, but the translations I found were a bit too literal and not edited for regular English reading flow at all (I couldn't even tell what was dialogue and what wasn't). And since the show is getting into the past more and more, it'll be good to have a better grasp on the sequence of events.